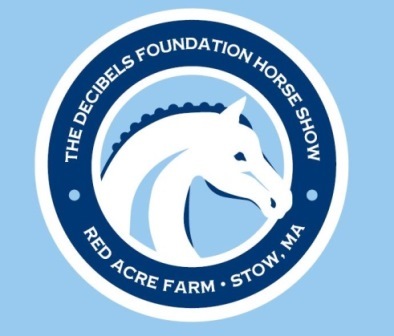 2018 Decibels Foundation Horse Show at Red Acre Farm! 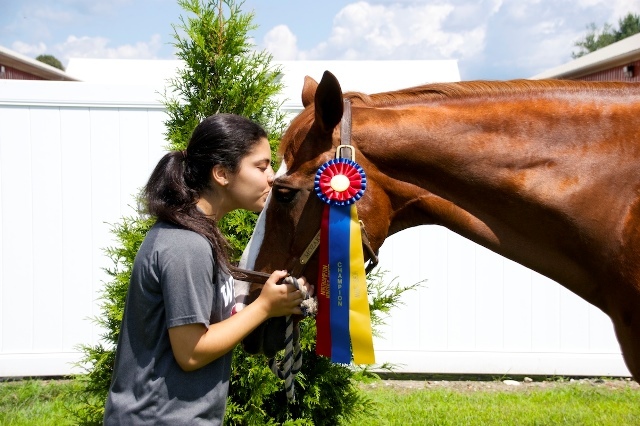 Bella, daughter of Decibels co-founders Mark & Julia Dunning, is an amazing teen who loves horses and rides at the Red Acre Farm in Stow, Massachusetts. She also has Usher syndrome. Because of Usher syndrome, she has a profound hearing loss, two cochlear implants, and is losing her vision. Bella has received help from her school, her doctors, and numerous others, but counts the Red Acre Farm as one of her greatest resources. At the farm, Bella has increased her self-esteem and confidence, has improved her posture and balance and has made life-long friendships. The Red Acre Farm has generously offered to help Bella in a unique way; by hosting a horse show for the eighth year to benefit the Decibels Foundation. This is a great opportunity to get together for a day of great riding, while making a big impact on the lives of children with hearing loss and their families. Over the past seven years, this event has raised over $120,000 to support children with hearing loss and their families. Your support of the Decibels Foundation is truly valued and will help ensure that this event is a success. Children with hearing loss from the Minute Man Arc Early Intervention Hearing Loss Program. 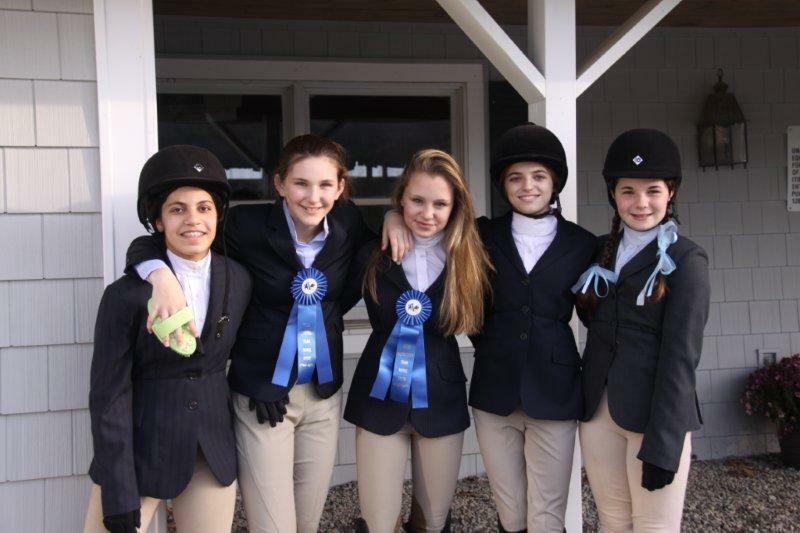 Proceeds from the Horse Show go to support these children and their families. 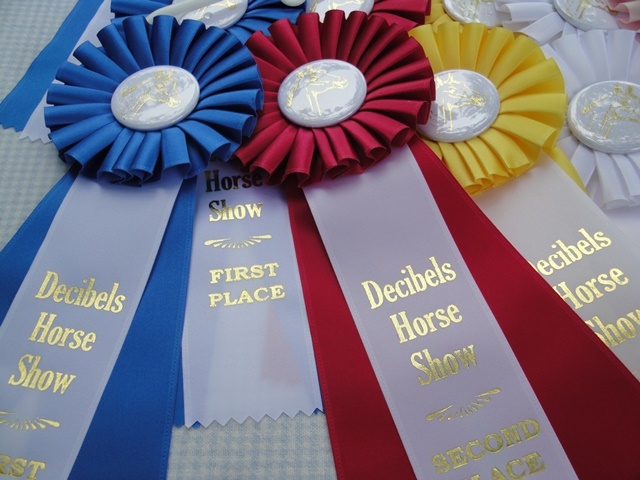 Check out all the ways you can support the 9th Annual Decibels Foundation Horse Show! Click here to sign up to ride at the show while also fundraising to support essential programs for children with hearing loss. You will be able to create your own fundraising page, using FirstGiving, to help you get donations even easier! Click here to see who has signed up to ‘Ride for Decibels’ and donate to their fundraising pages. Click here to sign up to place a 'Shout-out' or ad to be in the 2018 Horse Show Program! Each year we rely on our generous Patrons and Class Sponsors to make the 2018 Horse Show a success. Click here to learn more! Click here to find out how to make a tax-deductible donation to our silent auction or raffle! Click here to make a general donation to the 2018 Decibels Foundation Horse Show at Red Acre Farm. All proceeds will support programs for children with hearing loss and their families.